Was there with a large group for Saturday lunch. The staff was very friendly and accommodating as due to the size of our group they moved us to a larger space...without anyone asking! The food was good as usual and came out in a timely manner...love the seasoned fries! Always love coming to Saz’s on State! We ate lunch here today and had a great experience. I had the buttermilk chicken salad with house dressing. It was a large portion with fresh produce and perfectly fried chicken on top. My husband had the fish tacos and didn't leave a crumb on his plate. My son had cheese curds and really liked them. I had the cheesecake and it was exquisite. The flavor of the week was espresso and it did not disappoint. The service was great as well. Highly recommend if you are in the area. I met a friend at Saz's prior to a Brewer's Game! We had a few drinks at the bar before boarding the Shuttle to Miller Park. The bartenders here were friendly, fun and attentive! The shuttle to Miller Park is very convenient for both drop off at the ballpark and pickup to return to Saz's. This is a great place for drinks and food! I wanted to share how delicious my pulled pork sandwich was last night. When I have to eat at sporting events, I’ve succumbed to the fact that the food isn’t going to be great. My sandwich made me so happy last night. Thank you for providing such quality meal options for our patrons (and me). Your team was also very kind to take my order at the last minute and wait while I ran to get my credit card from my car. Excellent service! I can't have dairy and have chosen not to eat meat so I was extremely skeptical after browsing the menu but I found the perfect combination! Spicy Black Bean Burger (minus cheese, add lettuce) and the lemon pepper green beans on the side. Absolutely blew my expectations out of the water! [The] best part was the cast experiencing Mozzarella Marinara and fried cheese curds for the first time! I loved watching their expressions when eating it. There were a couple of birthdays celebrated too! Thank you for hosting, I thought [the Saz's team] was superb. The party went very well and the shuttles were perfect! Thank you so much for hosting and your staff is always wonderful to work with. Look forward to planning another one soon!  I really wanted to tell you that our visit to Saz's for Brian and Kayla's rehearsal dinner on August 11th was fantastic! The food was outstanding, as we knew it would be, but the friendliness of all the staff and the great service provided by our hostess/server and the bartender exceeded our expectations! They were both so attentive to our every need! [Our server] also made a point of letting us know when we arrived if we needed anything to just let her know! Several of our guests were late arriving, and [She] went out of her way to make sure that hot, fresh fish and fries were available when they did finally get there! All who attended had a wonderful time! I will certainly let everyone know what a wonderful place this was for the rehearsal dinner, as I bet it would be for any gathering! We will definitely be visiting again, and should we have a party to host Saz's will be first on our list of places to come! Thank you again for making our event perfect! I just wanted to send a huge thank you for everything you guys did for us when we came to Saz’s on the 26th! Our team absolutely loved it and we had a great time. I hope we can work together again soon! The fish fry I had today was out of this world—wow, perfectly done, excellent cod, perfect with the fries, cole slaw plus the chowder was great. But the fish fry on a Wednesday floored me. It was exceptional. Or maybe it was just [the staff's] intoxicating personality setting the stage for a wonderful lunch—probably the combo of the two. However, the cod can stand alone. Thank you so much for everything, the baby shower on Saturday went great! I feel terrible that I cannot for the life of me remember the name of the bartender (I was a little spastic that day), but he was fantastic! Top-notch service. He was so nice and accommodating. I really appreciate how easy [Saz's was] to work with. The mom (guest of honor) had her wedding catered by Saz's. She and her husband still obsess about how amazing the food was! That's one of the reasons she wanted her shower at Sazs. I think she loves you guys ever more now, if that's possible. I just feel the need to take a minute to tell you what a great retirement celebration I had at the State Room. Many thanks. Most of all, I want you to know what a great job [Saz's] did with serving our party. Today I had another person tell me what a fantastic job [Saz's] did with serving drinks, food, clean-up. Several people have commented to me over the past few days about the job well done. I just wanted to send a note to say thank you to you and your staff for the event we had at the Dockside Barbecue on June 30th. Everything was wonderful and we received very positive feedback from all our employees. We are so honored to have Saz as one of Variety - The Children's Charity of Wisconsin's greatest friends and supporters. Not only is he a pillar in our community, he is also a champion for Variety and the families that we serve. Since Saz's State House opened 40 years ago, it has been a gathering place for the "old school Variety guys" to hang out. It has also been the birthplace for many ideas of how to raise much needed funds for Wisconsin children in need. Saz has played such a significant role in Variety of Wisconsin's history (half of our existence!) and we are truly grateful for his unwavering support. We congratulate Saz's State House for their upcoming 40th anniversary! "Saz's is a Milwaukee institution. The Mozzarella Marinara is a staple at every festival and the restaurant is so comfortable, it's like being in Cheers!" "Coming to Saz's is like being with family. Everyone knows your name and the quality and variety of the menu selection keeps us coming back! The Old-Fashioneds are a MUST!"